Brighton, Kemptown is located in the south of England. It was created in 1950. 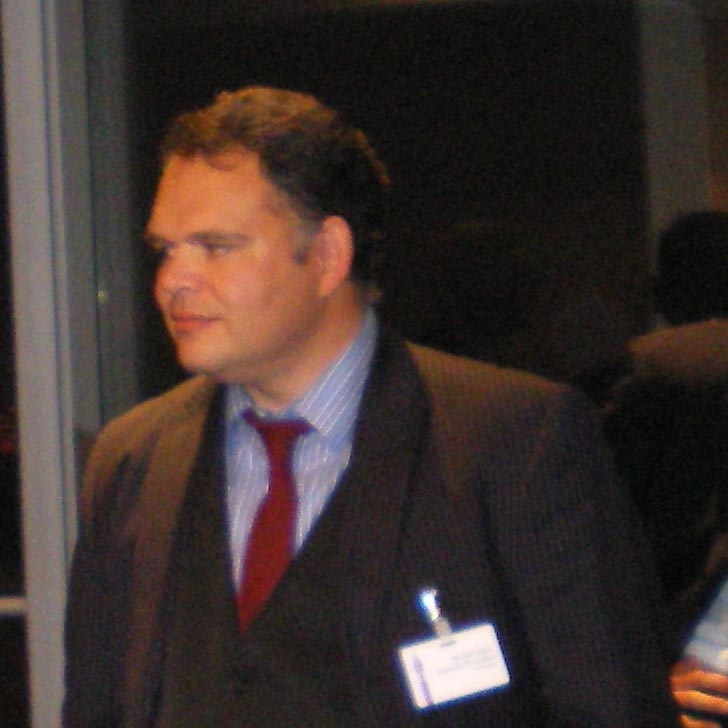 The current member of parliament is the Conservative party’s Simon Kirby, who has served since 2010. Brightonian born and breed, I started off life living in Hove (Seven Dials area) then to Portslade from 7-16 and now Moulsecoomb 43 years old with a young family living in a council house. I know Brighton inside-out and am passionate about serving its community and helping it be the best city in the world. Brought up in a one parent family in abstract poverty, I know what hardworking people go through in life. As a young man I traveled France, America, Hong Kong and Europe fulfilling my life’s dream of seeing the world. At 26 years old I decided to focus on a career and consequently fulfilled another life dream of becoming a Policeman, surpassing even my own expectations by passing out as a Royal Military Policeman in 1996. Upon leaving the army in 2001, I worked in horticulture and telesales before starting up an e-commerce business helping client’s tender for local authority contract work, all the while starting and bringing up a family. In 2012 I stood in the Sussex Police and Crime Commissioner elections, but pulled out at the 11th hour, due to the £5000 required deposit. Standing on an anti-corruption platform, I’m offering a new and better way of life. A vote for me means a vote for sustainable living, bulk-free energy, a cure for cancer and public services maintained for the public and not for profit. Only by living in the community you serve will you remain “in touch” with the community you serve. Having fostered strong friendships and connections with many people in Brighton, I will always be amongst the first to support the community. With my children going to local schools, with my campaign office in the heart of the community, and my family around me, I value and hold on tight to my connections to Brighton, keeping me “in touch” with the electorate of Brighton. Other than the physical connections to keep me “in touch,” I intend to take full advantage of social media, communications and technology to be at the forefront of what the electorate care about and want done. There have never been so many ways to keep “in touch,” from shaking hands, to emailing, to Skyping; I intend to take full advantage of as many ways to keep “in touch” as possible. 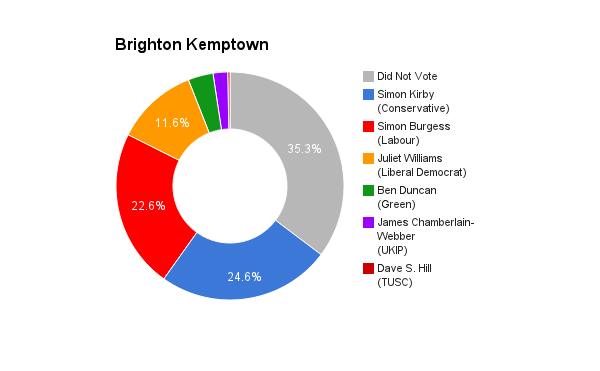 As a Man of the People, brought up from the other spectrum of the likes of David Cameron and George Osborne; someone who’s worked real jobs and has endured real hardship, unemployment, success and failure, I’m the best candidate for Brighton Kemptown because I understand it’s people the most. I understand their fears, dreams, hopes and aspirations. Opposed to Simon Kirby who as a servant of the Conservative Party, is nothing more than a safe pair of hands, to Nancy Pratts, the Labour Candidate who’s spent her life working in charities, who is nothing more than a mouth piece for Ed Miliband; only I bring the real life experience, wisdom and know-how that the Brighton Kemptown constituency need. Simon Kirby MP for Brighton Kemptown since 2010 has been a valued and loyal servant of the Conservative government. He had a part to play in the £420 million investment into the Royal Sussex County Hospital, which will inevitability mean handsome kick-backs for him and his crony friends. Simon Kirby has served the homosexual, lesbian, bi-sexual and transgender community well by taking a yearly AIDS test. He also gives a voice to cats and dogs in Parliament. Simon Kirby has been successful in promoting the Nazis ideology of the Conservative party and as a consequence has ensured austerity continues, the national debt continues to grow, the war in the Middle East continues, fracking continues and the poorest in society continue to suffer at the hands of the crippling Conservative policies of the Bedroom tax, ATOS, assault on our European Human Rights and a freezing Child Benefit. The government have proved ‘Austerity is a Myth,’ nothing more than a Conservative ideology designed to bash the poor and make the rich financially richer than ever before. If austerity was true a whole new level of Public Sector management wouldn’t have been brought in with the 2012 Police and Crime Commissioner elections, which sees Police Commissioners earn anything between £85,000 and £150,000 a year, with their number twos and threes earning the same. If austerity was true our national debt wouldn’t have gone up, after public spending was slashed. If austerity was true there would be no money to go to war and drop multi-million cruise missiles on a daily basis. If austerity was true the bankers wouldn’t get their multi million pound bonuses as if the Financial Crash of 2008 never happened. Austerity is nothing more than the biggest fraud against the British people to have ever happened in British history. Immigration is vital for the UK. Our politicians are apportioning the blame onto the immigrants flowing into our country. They are brainwashing the British people to blame immigration for our problems, shifting the blame away from themselves to someone else. The only reason we have a problem with immigration is because the politicians haven’t invested, as they should have, in the infrastructure of our nation, the health care of our nation and the housing of our nation. Of-course there is a problem with foreign peoples coming to our country and receiving preferential treatment over and above British residents. This is unfair, of-course it is. Why should a family born and breed in England, who have been waiting for a council house for years, be put back down the list in favour of a family fleeing for their lives? But we mustn’t blame the immigrant for this; we must blame the politicians for creating this situation. Our whole monetary system, capitalist system and economy has been manipulated and controlled to deliver what’s best for the Bankers and not the people. An acknowledgment must be made that bankers have fraudulently manipulated the national debt for their own nefarious ends. Only by realigning our economy and bringing the bankers to book, will our economy find its feet and recovery. We must lose our innocence and acknowledge our national debt is un-repayable and the country is bankrupt. But this isn’t the end of the world, it’s just a bunch of criminal bankers and capitalists holding a gun to our heads saying we must continue paying the interest repayments or else; while all the time deflecting action from their own criminal involvement in stealing the wealth of our nation and perpetuating the myth that money doesn’t grow on trees, when in fact money is created with a few taps of a computer keyboard. Maintaining the NHS service as a free public service is paramount, but the type of services the NHS offers must change to ensure its success. More attention must be spent on the prevention of disease as opposed as the treatment of disease. Radiotherapy and chemotherapy as the only NHS condoned treatment for cancer is simply absurd. The NHS must explore new treatments to treat the aged old diseases of society. It’s a serious issue that a large percentage of a doctor’s income is supplemented by a pharmaceutical industry that has an interest in treating the symptoms of diseases and not the causes of disease. Did you know that oil derived from cannabis cures cancer? Not many people do because cannabis is deemed illegal and as a result no tests can be done to determine its medical properties and how it can save lives. For the NHS to survive, their treatments must change. Scrap the red tape that hinders people from setting up their own businesses. In a service economy as opposed to a manufacture economy of which we once were, the unemployed youth find themselves in the position of having to crave out their own jobs in life. I want to see the unemployed helped to start up their own businesses. Scrap the red tape and give out free peddler licenses to let people sell what they want on Brighton’s streets. Open up commerce like never before. Brighton has attracted Latest TV as the base for a new TV industry by the sea. We must attract more industries to Brighton. We must utilize our shoreline, we must welcome tidal electric turbines off our coast, we must welcome inward investment and explore new ways of helping people start up their own business and carve out their own ways to make money. Absolutely yes; Parliament is predominately made up of publicly educated school boys, as it has been since the start of British Democracy. As a result Parliament represents the interests of the rich and privileged and not the hardworking people who contribute most to society. To enact real change in Parliament you will need an influx of independently minded people elected at the next general election. Only then will the mindset and diversity of Parliament change. The established political parties of Labour, Conservative and Liberal Democrats have had their day. They’ve had centuries of the People’s trust and have for centuries proven themselves NOT to be up to the job. Parliament can only work with the people it’s got. To change the statutes quo is to change the diversity in Parliament. Once new blood is injected into Parliament, new blood can be injected into the Nation. I believe an EU Referendum is a red herring, only because there is no practical use in slamming the stable door once the horse has bolted. In 1974 Edward Health and Queen Elizabeth II signed us up to a European State and we are now in Europe whether we like it or lump it. It’s done. All talk of an EU Referendum by the Conservative party is nothing more than hot air, PR and will never transpire. Though if it were, I would encourage my constituents to leave the EU because they have proved themselves to be a wasteful, fraudulent and bureaucratic level of public sector expense, we simply cannot afford, need or desire. The EU Federation is one Federation we can do without. the decisions affecting their lives, and to be a part-time yoga teacher – the first yoga teacher ever to stand for parliament in the UK. Although I have been active in campaigning all my life, I have never previously stood for public office. I would not stand anywhere else than Brighton Kemptown – it is where I feel most at home and the area with which I have the strongest local connections. I have previously been a member of the Labour Party, but I joined the Green Party in 2011. 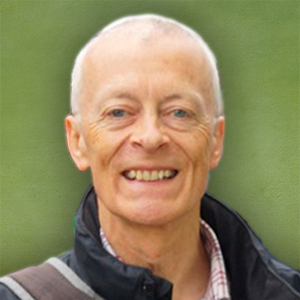 I believe that the Green Party is the only national party that genuinely offers a real alternative and radical manifesto for change, compared to the cosy consensus of UKIP, Tories, Lib Dems and Labour all supporting broadly the same policies – they all think austerity is unavoidable and we have to make cuts to public services; they all support market mechanisms in public services like the NHS & Education; they all support fracking & nuclear energy and none of them take climate change seriously; they all support nuclear weapons & Trident nuclear missiles; they all supported the wars in Iraq & Afghanistan. I support none of those policies or that consensus. Unlike I think all my main opponents in this election, I have not stood for public office previously. I am not a career politician. I also pledge that I will not take the full MPs’ salary. I do not need it and consider it bloated and way beyond that of most of the people in the constituency. I will discuss with them after my election what I should do with the money I do not take. If elected, I will also introduce a system on my website where I can listen to the views of constituents on controversial issues, especially those where I have to cast my vote in the House of Commons. I will hold regular open surgeries across the constituency. I support a strong power of recall of MPs, as does Caroline Lucas in neighbouring Pavilion. Sadly the other parties oppose meaningful accountability. I have the strongest local roots of any of the main candidates. I also have a wide range of work experiences – especially in the public sector. But above all, when people are desperately disillusioned with the Establishment, I represent the chance for a positive protest vote: an opportunity for people to vote for completely different policies from the grey consensus of the main parties – for cherishing and looking after the planet and our precious environment for our children and grandchildren, and for a completely different set of economic priorities where we look after the vulnerable and ensure the economy works for the majority, not a tiny super-rich economic elite. Simon Kirby MP has thrown his influence behind a number of worthy local campaigns and projects (whilst also voting for the Bedroom Tax and all the Government’s benefit cuts !). Austerity is not working. It has been an unmitigated disaster for millions of people. The national debt is growing not declining. Independent experts predict another recession on the way. The very rich, the bankers and their political friends (the Tories receive more than half their funding from banks and bankers) have done very well out of the recession. The rest of us have suffered. Everyone knows that the poor have suffered the most, with a huge transfer of wealth and assets to the richest, which is a grotesque epitaph to this Coalition Government. Immigration is vital to the UK and I oppose the draconian restrictions that we have in place now which essentially keep poor people from coming to this country while the rich remain welcome. I strongly support the campaign to make Brighton & Hove a City of Sanctuary, where the focus is on how to welcome and help refugees and asylum seekers, rather than blaming them for our problems. Quite simply, we have to turn our economy upside down. At the moment, everything about the economic system is geared towards concentrating more and more wealth in the hands of those who already have too much ! We have to to introduce a basic Citizens Income to provide a basic safety net for everyone. We need to take away all the huge subsidies that are handed out to the highest earners and to big business. We should increase corporation tax and the top rate of income tax back to levels that were considered perfectly reasonable in past decades, and put an end once and for all to tax evasion and tax havens. We should stop subsidising via tax credits those cheapskate employers who do not pay their staff enough by increasing the minimum wage to £10 per hour. The NHS is already the most successful and one of the cheapest health services in the world, contrary to all the scare-mongering stories that the Government try to use as an excuse for privatisation. I support repealing the pernicious Health and Social Care Act, reversing all the market “reforms” to the NHS, putting an end to the shockingly wasteful Private Finance Initiative (PFI), and recruiting more staff to the NHS and paying them better wages. My sister was a nurse for 40 years and earned less in that time than top Premiership footballers do in a month ! We have a huge opportunity to link the issue of unemployment to the urgent changes we need to make to our use of old-fashioned and climate-change inducing fossil fuels. We would introduce a genuine Green New Deal (not the “Greenwash” versions the Coalition government has sponsored) and create hundreds of thousand of new jobs in the renewable energy industries. Parliament remains a (white) old boys club and embarrassingly out of touch with the rest of the country. We have a Cabinet with a majority of millionaires and many ex-public schoolboys. It is a disgrace that so few parliamentarians come from outside this narrow elite. The First Past the Post voting system not only reinforces the “safety first” approach to voting, it also tends to reinforce the selection process of the same traditional candidates. it is significant that the leaders of all the traditional parties (Tories, LibDems, Labour & now UKIP) are male, while those of the SNP, PC and Greens are women – no wonder the BBC is so keen to exclude all those parties from the televised General Election debates! The Green Party has a straightforward position on Europe: a) it is currently completely undemocratic and needs a huge overhaul to put elected members in control; b) we support a referendum on Britain’s membership of it; and c) we would support continued membership of the EU with those democratic reforms.